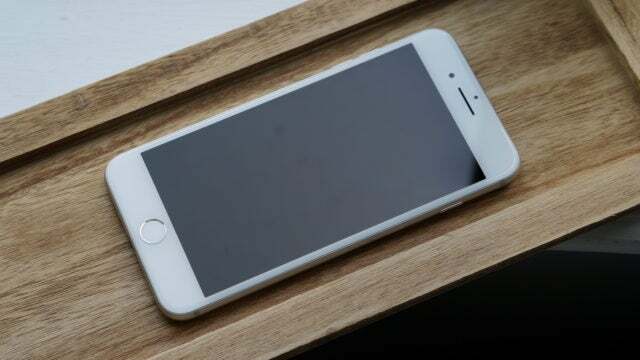 The much anticipated iPhone 7 is now readily available, and beyond making waves with the extermination of the headphone jack, it’s also the end-result of a maturing product line. Now going toe-to-toe with Google’s new Pixel line, we’re going to see these two hardware giants put more pressure on each other, which in turn may result in pushing innovation to the limits. However, the iPhone 7 itself appears to be at the plateau of smartphones as we know it, which will force the real competition to begin. It’s too soon to tell, but some industry experts like The Motley Fool believe this version will sell better than the iPhone 6S line, due in part to Samsung selling C4 blocks designed as phones and the iPhone 6 becoming obsolete as far emerging tech goes. For this particular review, we’ll be assessing the iPhone 7 from the perspective of upgrading from an iPhone 6, and of course our standard performance tests. Over the past month, we’ve used the iPhone 7 Plus on a day-to-day basis, taken it on many long runs, used it for navigation, and took it out for a stroll in the rain with a side of a drunk test during Hurricane Matthew. Between the iPhone 6 and 6S, the changes to the iPhone 7 are not drastic. The speed has absolutely increased, but unless you are a gamer or use resource intensive apps, you’ll likely only notice this in the way you take photos and videos. Beyond this, what most users will gain the most from the enhanced or new features are the dual cameras on the Plus. The iPhone 7 Plus features both an f/1.8, 28mm wide-angle lens and a 56mm telephoto lens on the back, with a 12-megapixel sensor behind each. The Plus is not the first phone to use this system, but it’s the first for Apple. Combine these with a host of sensors, stability, and the new processor, and you’ve got a combination to take great photos and 4K video with stabilization and even in low light. Unfortunately for Apple, the one primary feat they now have to go up against is Google’s new Pixel phones, which has been praised for having the very best camera phone cameras to date. Apples to oranges aside, the software behind Apple’s cameras are mostly the same, including HRD photos, live photos, burst, and filming in slow-mo. The phone also now supports RAW formats, but in most cases regular users won’t have a need for that. In the future, Apple will also release an update that allows depth-of-field effects. Between the iPhone 6 and the iPhone 7, the quality of the images are noticeably more clear, especially in low-light situations and being able to film in 4K. During the iPhone 7 launch event, one of the first partners Apple brought on stage was Nintendo. Besides being connected to Pokémon Go, Nintendo has announced further support and development of more games for iOS devices, including a new basic Mario game already available. In our performance test using 3DMark, the iPhone 7 blew it out of the water. Between the Nintendo announcement and the newly announced Sony division called ForwardWorks, two of the three giant console publishers will now be developing games for iOS. The quality of indie games and high-resource intensive apps should also be on the rise. Several years ago apps were constrained to relatively small memory requirements, but as the 16GB model has been phased out and processing power has drastically improved, we may seem some more loosening of this in the future. Between 3D Touch and a wider range of colors, the iPhone 7 display is one of the best on the market. It features Retina HD with a 1920-by-1080-pixel resolution at 401 ppi, and the screen is 5.5 inches with an LED-backlit widescreen. Albeit not the most cutting edge (AMOLED), due to the technology Apple uses, the display offers more colors and brightness per pixel than the standard resolution shows. If there’s one major pain point that comes along with smartphones, it’s typically about batteries (looking at you Samsung Note). Beyond explosions, the amount of time you get out of your phone varies, and the more you use, the more resources it consumes, the more you’ll need to charge it. For the iPhone 7 Plus, one of the standout features is the battery life compared to the smaller model. Besides the specs (listed below), we were able to go about our daily schedule and not need mid-day charging top offs, including using the GPS for 5-8 mile runs. Overall, the battery performance for the iPhone 7 Plus is great compared to both previous models and competing phones. Apple, we get that you are trying to be edgy and cool, but what on earth happened here? Sure, for the most part things are the same from iOS 9, but some of the user experience and user interface changes are just absurd. From stickers being slapped onto anything in Messenger, to the strange notification system and not being able to group by app, there are a lot of weird tweaks that nobody asked for and nobody wants. According to 3DMark, the regular iPhone 7 performs slightly better than the Plus with an average score of 2603 versus 2486. If you want the most juice for an iPhone, currently it’s tied to the regular iPhone 7. Battery life: 21 hours of talk time, 16 days of standby, 15 hours of wifi use on wifi or 13 on data, 14 hours of video playback, and 60 hours of audio playback. 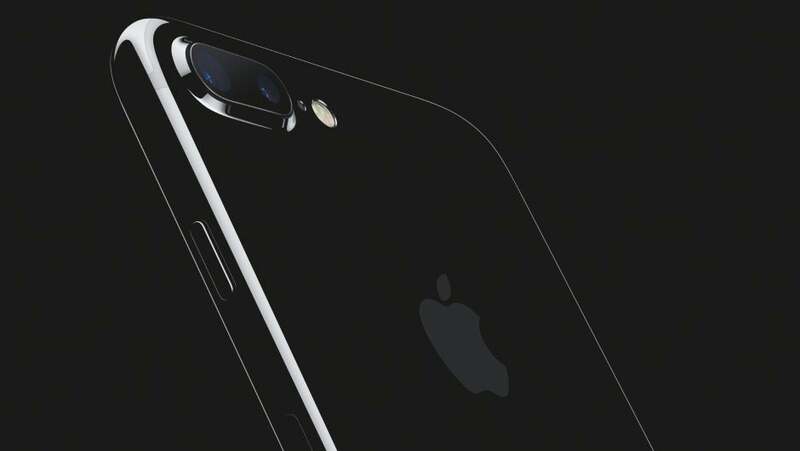 You can get a further breakdown of the technical specs for the iPhone 7 and 7 Plus on Apple’s site. The iPhone 7 didn’t get much of a design change, which is both good and bad. A refined product is a sign of something working, and for the most part, that’s what the latest version brings to the table. There are however a few key differences, such as killing the headphone jack, killing the physical home button, new stereo speakers, the dual cameras on the Plus, and a new jet black color option. For those looking to get the newest of the new, the jet black color will be a must. However, even Apple itself warns consumers that you are more or less going to get a starched and scuffed up device in a short period of time. So unless you plan on getting a transparent case or take extra steps to care for it, this should be a hard pass. Speaking of hard passes, while most of the Apple world was complaining about killing the headphone jack, what they really should have focused on is the loss of a physical home button. Unless you press the home button with a finger or special supported glove, that button is no longer useful. Most people won’t see this as an issue until it starts to get cold and everyone realizes you can’t use the home button. On the flip side, Apple did add a pretty badass taptic engine underneath, sort of like a weaning system, that gives the illusion of it being physically pressed. The taptic engine, while you can’t physically see it, is actually one of the biggest advancements to the phone’s design. Although it’s still early in the game, Apple plays off the concept of real touch, starting with how you typically would receive physical feedback when pressing the home button. Besides the lack of a physical home button, yes, the headphone or 3.5mm jack is now gone. They include a dongle, and it works well. That’s all we probably need to drum up on that dumb argument. The stereo speakers also work well, but for those of you that would physically cover up the bottom of your phone to keep it quiet, those days are over. On the plus side, the phone is now much better poised for gaming and video playback, which if the Nintendo on-stage appearance during the unveiling event alludes to anything, gaming is going to be a big part of the future. At 6.63 ounces, the iPhone 7 is incredibly lightweight for being a larger phone. However, as with all iPhones in the past, these have never been the most durable things on the planet. Luckily there are cases in all different shapes and sizes, so that should do the trick. We did a few basic drop tests, and each time the uncased phone was fine. With the various cases we did drop tests with, it also added further protection. When it comes to durability, the big new feature for the iPhone 7 is the new water resistance rating of IP67. The key word here is resistant, and not water proof. So that means if you falls into the sink filled with water, gets rained on, or is splashed, it should be fined if you just dry it off. Apple isn’t taking a gamble on this either way, and has updated their AppleCare terms to no longer include protection from water damage. We suspect there will be plenty of angry people in the future who tried to take a selfie underwater with their new phones. Overall, the iPhone 7 is easily the most powerful iPhone Apple has produced, but this particular model is not a huge upgrade. Sure, we now have water resistance, better speakers, faster speed, and much better cameras, the rest is more or less the same. If you have an iPhone 6S, you really are not going to be gaining much from this upgrade, if you have a regular iPhone 6, then you’ll get a great deal more, but even then there is nothing ground breaking added in. Unless Apple begins to push for innovation, we’ll likely see a stagnation in how often people plan on upgrading their phones. However, we suspect between the Apple upgrade plans and the carrier non-contract upgrade plans, people will still be able to do so at the same capacity. There will just be fewer reasons to actually make the switch. The iPhone 7 Plus is certainly a top of the line smartphone, but Google is definitely going to be putting the heat on them in the next two models, with an even heavier focus on usability, comparable features, and ease of switching.